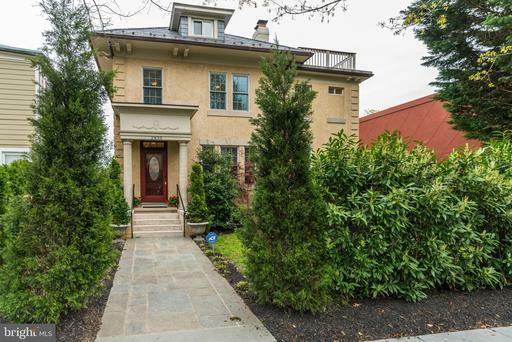 Classic, yet welcoming center hall colonial, well proportioned with high ceilings, 5 bedrooms and 4 1/2 baths. Wide landing upstairs, airy elegant. Living room with fireplace and built-ins, formal dining room with gorgeous garden view, updated kitchen and breakfast room. Screened porch opens to enclosed sunny, verdant garden. Upper level family room with fireplace great light. Newly refinished lower level/ family room. Sunny, fenced back yard, garage off street parking. Central location, close to Metro, restaurants, shops more! 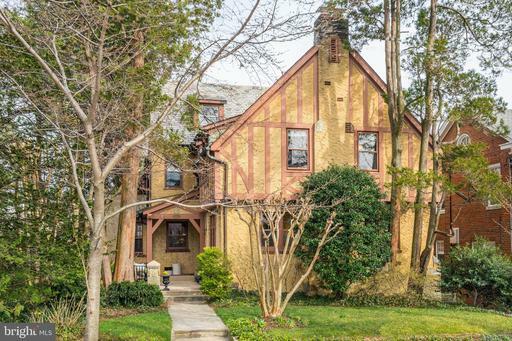 Tudor with unusual charm and original details including arched doorways decorative molding. 5 bedrooms, 5 full baths plus 2 half baths. Front porch, entry foyer with coat closet, living room with fireplace and beamed ceiling, kitchen with butlers pantry, formal dining room, amazing family room with high ceiling and skylight opens to screened porch deck. 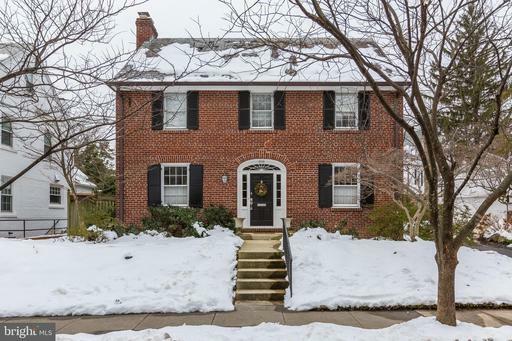 Wood floors, upper level deck, private fenced back yard with large stone patio. Garage plus 2 car driveway. Lovingly upgraded and maintained by the owners over the last 44 years. Cathedral view! At the convergence of Woodley, Cleveland Park and Mass Avenue Heights, between two Metro stops. Close to restaurants, shopping more! OPEN 12-3pm Saturday, April 20th.